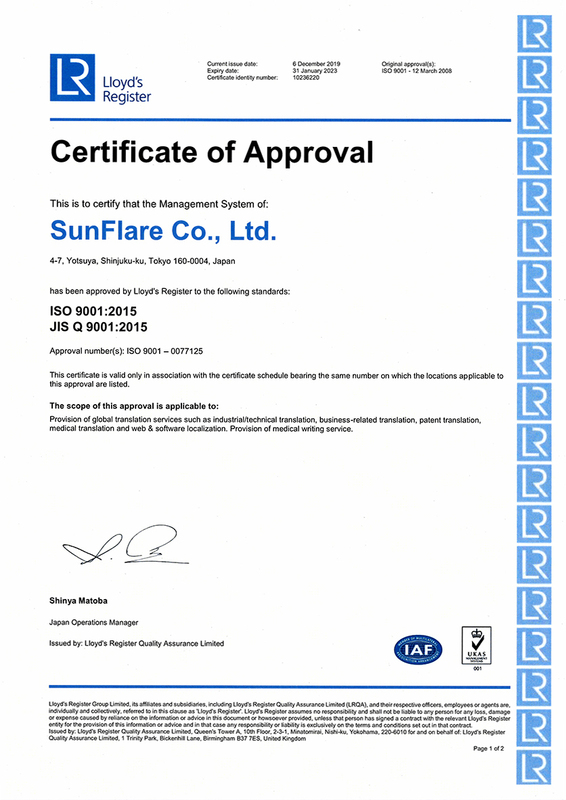 Writing - Services - SunFlare Co., Ltd.
SunFlare provides specialist writing services, including technical writing for manuals and medical writing for medical products and equipment documentation. Our experienced writers produce documents that fully comply with the relevant guidelines and regulations. We offer manual writing services that take advantage of our specialist knowledge and text comprehension. We can handle all types of manuals, from product and service manuals to operation manuals. Our technical writers demonstrate a high degree of precision, thereby ensuring that the key reader requirements for a manual are met: accuracy, clarity and reliability. Our dedicated technical writers participate from the planning stage, engaging in all processes from information analysis and writing to editing. If any relevant information is missing, we painstakingly collect it through interviews to reduce the burden on the client. We can also help to improve document quality by evaluating the document through comparisons with existing or competitor manuals. We provide services that are tailored to meet our clients' requests. 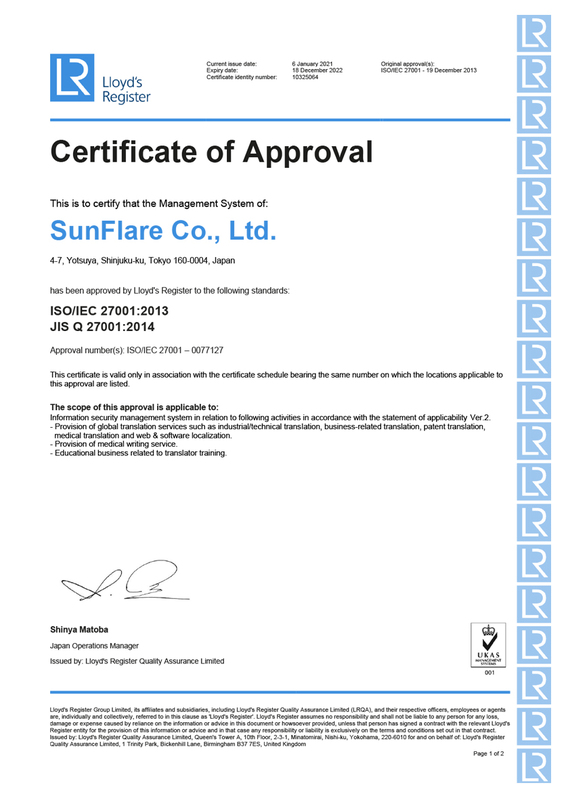 Because SunFlare is a translation company, we are able to produce manuals in a variety of languages. We provide the optimal translator based on the individual project and ensure that the manual is produced in strict adherence to the guidelines and specifications that apply in the target country or region. When products and services are developed on a global scale, their manuals need to be produced in multiple languages at the same time. 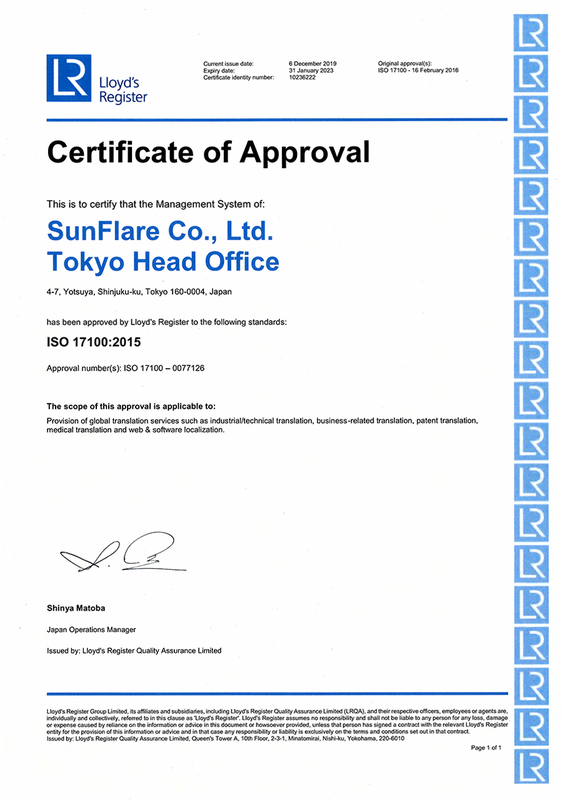 SunFlare can produce a manual and carry out its translation into multiple languages eﬃciently and simultaneously, enabling high-quality multilingual manuals to be delivered in a short timeframe. SunFlare provides medical writing services for the creation of the documents required in each phase of the research, development, regulatory application and post-marketing of medical products and devices. Since our medical writers have extensive experience and knowledge of the medical industry, we provide documentation that complies with a variety of criteria, including laws, ordinances, notifications and guidelines. We also offer a comprehensive pharmaceutical affairs outsourcing service that is focused on drug and medical device documentation. SunFlare provides copywriting and news coverage services, such as the creation of medical device installation case studies and advertising copy for client products and services. Writers with expertise in the target products and services collect the required information and conduct interviews to create the manuscripts. SunFlare also offers creative services with regard to the final products, such as publishing the manuscripts as leaflets or on websites. 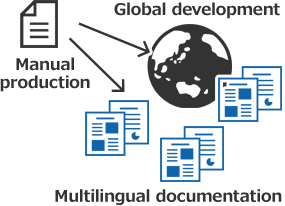 Not only that, we also provide translation services for multilingual documentation projects. We produce strategic translations that will resonate with the local audience and create materials with an appropriate tone by using technical language and advertising copy to make the products or services appealing on an emotional level. We are one of the few translation companies that have acquired Information Security Management Standard Certification (ISO 27001), Quality Management Certification (ISO 9001), and the international certificate for Translation Services (ISO 17100). We deliver both rigorous security and high-quality translations to create an operational system that puts trust first.